A pancake is a thin, flat cake of batter, cooked on a pan or griddle. 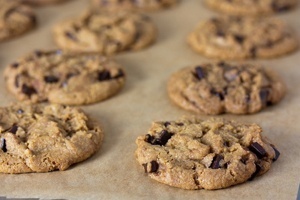 They can be sweet or savory and are usually chemically leavened which means they utilize baking soda and/or baking powder to get a small bit of rise. 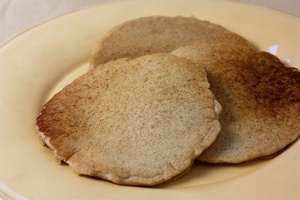 Vegan pancake recipes usually utilize egg replacers such as flax or starch. 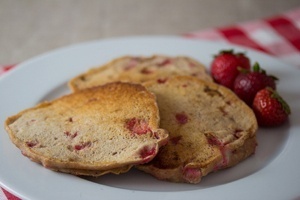 Strawberry and rhubarb are joined together in holy matrimony with orange zest and a touch of sugar in these Vegan Strawberry Rhubarb Pancakes. I opted to not make these pancakes too sweet because I like real maple syrup or a liberal topping of strawberries to drive the sweetness. If you like your pancakes sweet you may want to consider adding a couple Tablespoons more sugar. Or top them with sweetened vanilla yogurt for a new take on strawberry shortcake. I repeat: you can con your friends into enjoying something really close to strawberry shortcake for breakfast! Either way it’ll be a breakfast to remember. 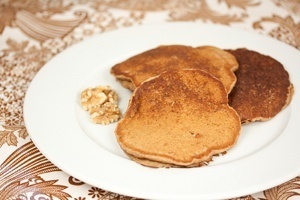 This Vegan Buttermilk Pancake recipe takes advantage of soy milk's ability to curdle when exposed to acids. You can choose lemon juice or even cream of tartar as your acid of choice but I prefer the additional flavor complexity that apple cider vinegar contributes. 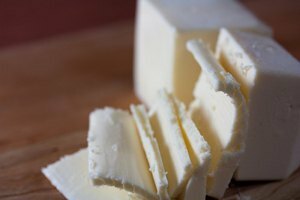 Buttermilk flavor is also enhanced by adding Vegan Butter or margarine to the batter which also adds moisture and fluffiness. Hemp and almond milk will curdle to a certain degree but not as much as soy milk. 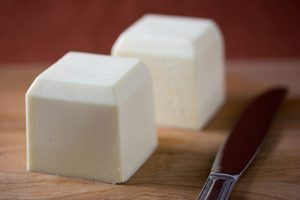 Coconut milk and rice milk are not recommended for this recipe because they lack sufficient protein and will not curdle at all. Top these vegan pancakes with maple syrup, berries and/or a dollop of almond butter. Lemon and corn both work to bring out each other's best qualities in this Vegan Lemon Cornmeal Pancake recipe: corn highlights lemon's tanginess and lemon enhances corn's savory flavors. 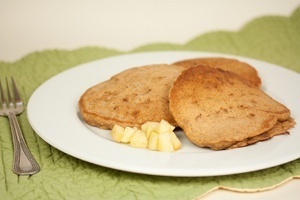 These bright, buttery flavors packed into a vegan pancake is a great way to start the day. 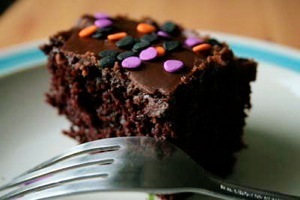 Try them topped with a touch of almond butter, fruit and/or real maple syrup. 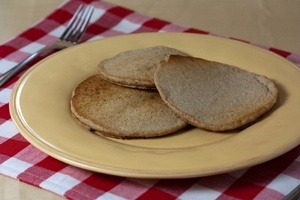 This Vegan Sourdough Pancake recipe is one more reason to keep a sourdough starter in your refrigerator at all times. They're wild yeasted which gives them a fascinatingly complex flavor not normally found in either vegan or traditional pancakes. They require advance preparation of a sourdough starter that is used as the foundation of the batter. If you already have this batter around, these pancakes will be even easier to make than Easy Vegan Pancakes. If you keep your starter in the refrigerator, it doesn't need to be removed several hours before using as it does in bread baking. 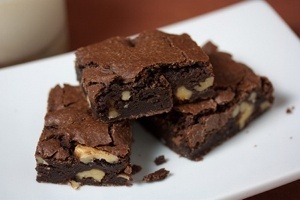 Feel free to mix 1 cup of berries or ½ cup chopped nuts into the batter before pouring. Top them with maple syrup and/or a dollop of almond butter. 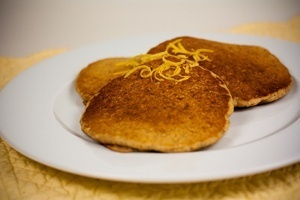 Mango and coconut are good friends and some of my favorite foods so why not pair them together in this Vegan Coconut Mango Pancake recipe? 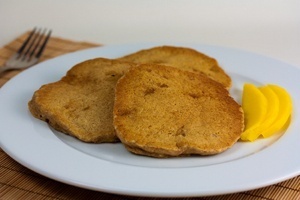 These vegan pancakes feature coconut milk, shredded coconut, mango chunks, just the right ratio of whole wheat flour and all-purpose flour and a touch of vanilla extract to further unify the flavors. It's the closest a pancake breakfast will ever get to feeling like a tropical paradise. This Vegan Lemon Poppy Seed Pancake recipe features lemon juice, lemon extract and lemon zest combined with poppy seeds to create a bright lemony flavor that's a great way to start the day. These vegan pancakes are delightful topped with a touch of almond butter, fruit and/or real maple syrup. 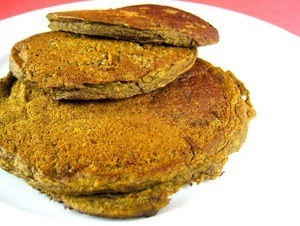 This Vegan Pumpkin Buckwheat Pancake recipe features pumpkin enhanced with barley malt syrup, nutmeg, cinnamon and cloves. 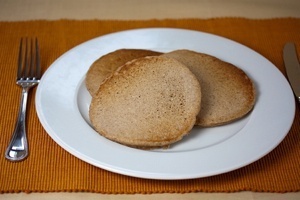 Buckwheat flour then lends an earthy, nutty richness. 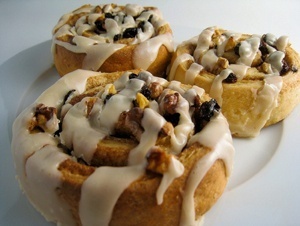 They're delightful topped with a touch of almond butter, fruit and/or real maple syrup to brighten up any morning. This is your simple, standard Easy Vegan Pancake recipe that strikes a good balance between fluffiness and thinness. 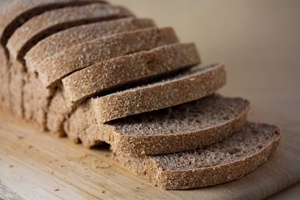 They feature enhanced nutrition in the form of whole wheat flour and your choice of oat bran, wheat bran or wheat germ. Feel free to mix 1 cup of chopped fruit or berries into the batter before pouring. 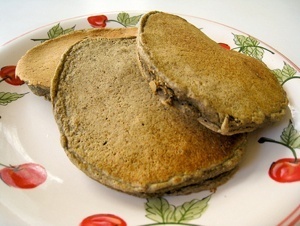 Top these vegan pancakes with maple syrup, Agave Maple Syrup and/or a dollop of almond butter. 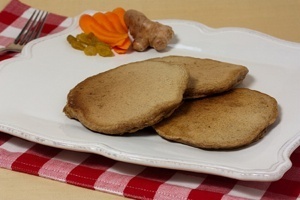 This Vegan Ginger Carrot Raisin Pancake recipe isn't your conventional vegan pancake recipe because it features carrots for a subtle butteriness, raisins for a little extra bonus sweetness and ginger for a hint of spicy finish. 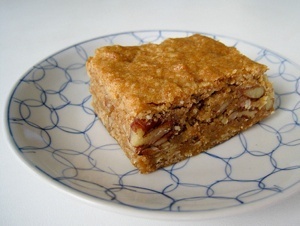 it's a great combination of flavors that is further enhanced with a drizzle of maple syrup or Agave Maple Syrup. 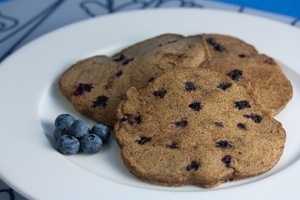 This Vegan Blueberry Buckwheat Pancake recipe features blueberries and buckwheat flour which lends them a tart sweetness along with an earthy, nutty richness. You also have the choice of adding either oat bran, wheat bran or wheat germ. These vegan pancakes are delightful topped with a touch of almond butter, additional fruit and/or real maple syrup. Chopped apples lightly caramelized in Vegan Butter with cinnamon, nutmeg and allspice help make this Vegan Apple Spice Pancake recipe become part of an unforgettable breakfast. 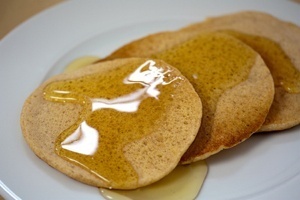 Especially when these vegan pancakes are topped with maple syrup and/or a touch of almond butter.